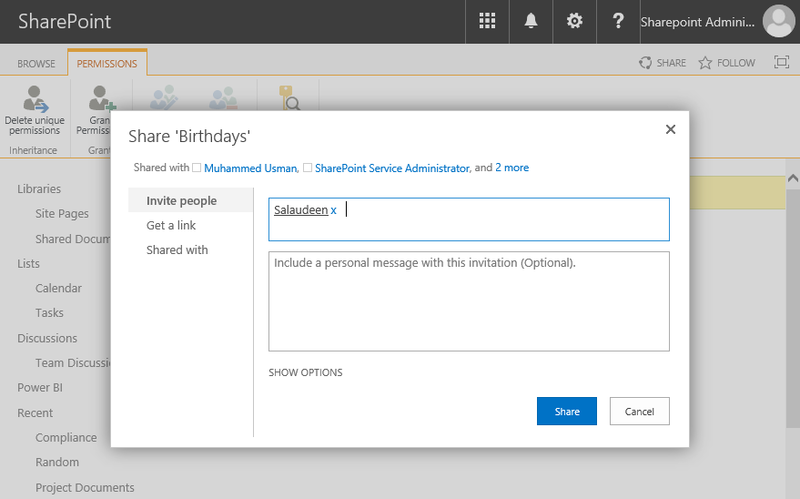 How to Grant Access to Individual List Items in SharePoint Online? Got a business requirement to grant permissions at List item level. 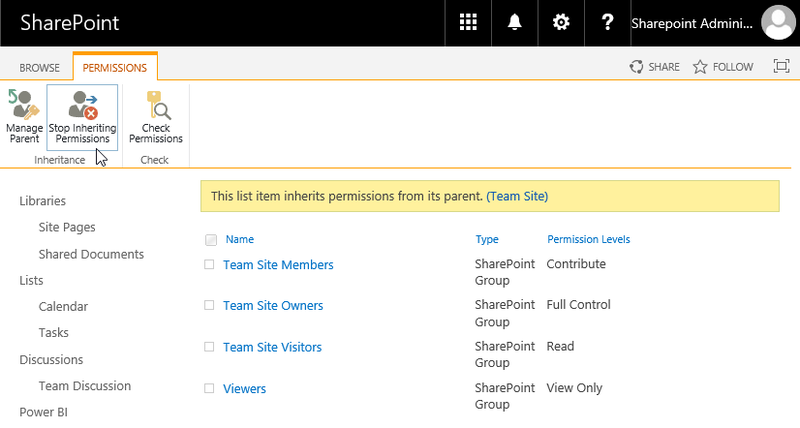 To set explicit permissions on SharePoint online list items, we need to break the permission inheritance first (stop inheriting permissions) and then add user or group to the List Item. 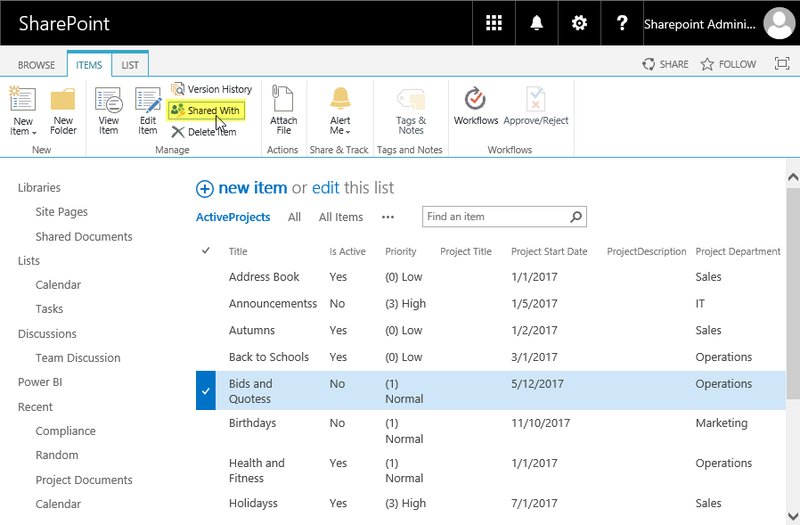 Go to your SharePoint Online list or library >> Select the Item to which you want to provide unique permissions. Click on "Shared With" button from the ribbon. On the Shared With page, click Advanced. On the Permissions tab, in the Inheritance group, click Stop Inheriting Permissions button. Confirm the prompt. Now, from the ribbon, click on "Grant Permissions." button. In the Share dialog box, enter names, email addresses. Click the Show Options button. In the Select A Permission Level list box, select appropriate permission level such as Edit. Having too many Item level permissions often leads to performance issues! so, be careful. Write-host -f Green "Permission granted to List Item successfully!" Hi, I am having trouble getting this to work. Have recent changes in SharePoint Online stopped this method working? Even a simple count of lists returns null.